I was thinking this particular longer-than-usual-for-some weekend (it’s Memorial Day on Monday. News flash! for those of you who haven’t looked at your calendars.) deserved a fun photo entry. 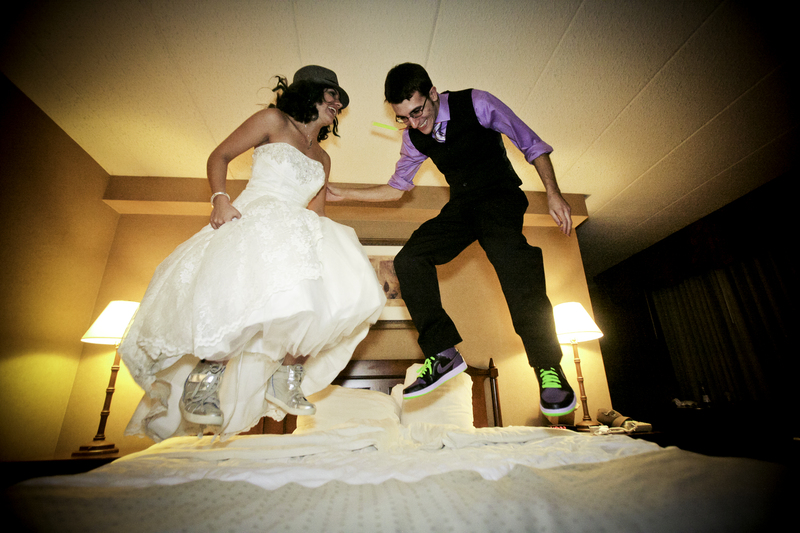 And with fun in mind, we have the topic for this blog: Bed Jumping. This is something that I am in the very early stages of making my photo “thing;” a recurring theme in my photos, a photo series of sorts. 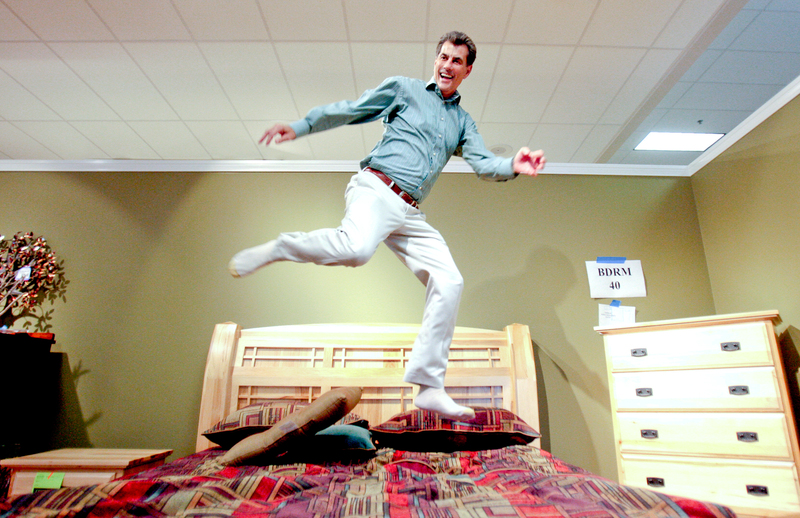 The first bed jumping portrait (shown above,) was when I was working at Pioneer Press. I had an assignment to photograph the owner of Steinhafels furniture store, Gary Steinhafel. Environmental portrait sessions usually include the subject asking “What do you want me to do?” I suggested that he do some jumping on one of the beds for sale in their showroom and HE AGREED. Whawhaaat?! Ooohhhh Mr. Steinhafel. I like you. If you are willing to jump on a bed for a portrait, you are pretty cool in my book. After this I decided bed jumping had to happen more in my photo-life. Not just because of the fun photograph that can result, but because I’m doing a public service as well. Bed jumping can release endorphins! And who doesn’t want to feel euphoria? Oh you lucky subjects and photo clients of mine. YOU get not only a wonderful photo of yourself. You also are getting some endorphins released. Yes yes. You’re welcome. Recently married couple. How else do you celebrate? Bed Jumping! Going to get married in a few hours? Best way to fend off some pre-wedding ceremony jitters? Bed Jumping with your sister! Having a theme, or working on a long-term photo series is a nice way to sneak in some extra photomojo. For example: last year a series of photographs with viral on the interwebs where the photographer showed himself being led by his girlfriend as they traveled the world. The series was called “Follow Me.” How simple right? But how fun. If there are any photographers with recurring themes or a series that they are working on please share! I love to hear about other people’s projects.